Sending the ladder back down. Those of you that know anything about me will know that my ‘career’ has been complicated, unplanned, drift-y and not at all linear. Well, there are many reasons – chief among those are an unfortunate choice of attitude at a pivotal time in my teens, lack of forward planning and a lack of guidance. To recap: When my friends went to the local FE College at 16, I was ‘encouraged’ to stay at the boy’s grammar for A Levels – cue: rebellion and self-destruction on a truly memorable scale. This led to arrests, trouble with fighting, focus on things unrelated to learning and catastrophic A Level results (an E and a U). Last-minute panic and a cry for help to my Mum meant I got into a college in North East Wales through clearing and re-invented myself – eventually securing an HND in Business and Finance (with Distinction). After a 9 month brush with Cancer, I returned to the North West and started my ‘proper career’ in Healthcare and then at Unilever, moving across to Manchester and Practice Management for a Property business…leading, via a Teaching Company Scheme, to University Business Development in Salford and then Lancaster Universities. After two years at Lancaster University writing funding bids I began to realize I was deeply unhappy and unfulfilled…despite bringing in funding to support people developing their entrepreneurial skills, I was treading water and feeling lower and lower. Long story short, I took 6 months off sick with the aid of a supportive GP and rebuilt myself in the image of who I wanted to be, rather than who I had drifted into becoming – and started Innovative Enterprise in 2006. Since then we’ve worked with 140,000 young people and helped schools deliver their enterprise, careers and personal development curriculums for all Key Stages. Every one of use has had a different career path – some straightforward (a few), some random, some semi-planned, some ‘let’s see what happens’ and some driven by something purposeful. I believe passionately, that once we have found our purpose, our main job is to share that with others. Our work at Innovative Enterprise has always been to ‘Bring the Future to Life’ for young people – and along the way help them to find what it is that they are passionate about, where their skills lie and how they can contribute fully to the future of society whilst – hopefully – at the same time enjoying their work. As well as being the MD of Innovative Enterprise, in 2015 I also became a shareholder and Director in the National Careers Week CIC (Community Interest Company) – NCW exists to support schools with resources, information and inspiration to deliver meaningful and exciting careers experiences for young people at all levels of education. 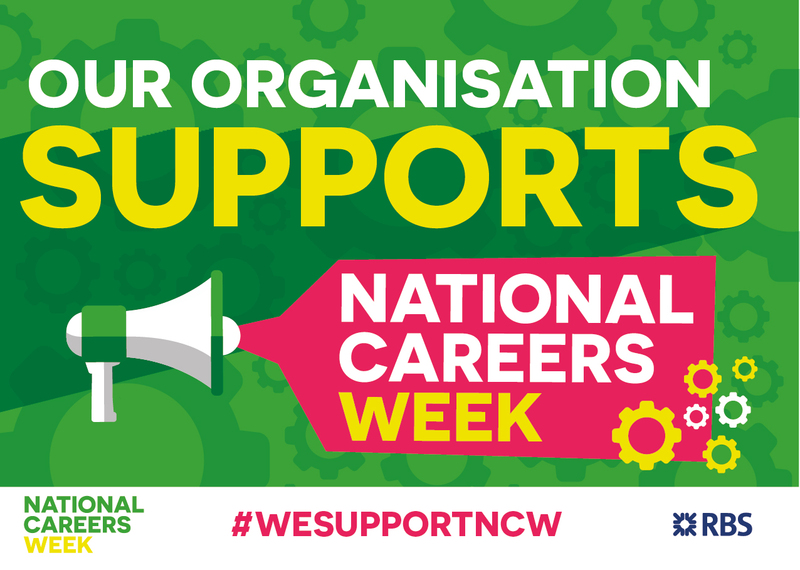 The free materials and newsletters can be accessed via Twitter @CareersWeek and the website www.nationalcareersweek.com and in the run up to National Careers Week 2019 between 4th and 9th March (#NCW2019) more and more materials, case studies and toolkits are being added. Once – as adults – we have found our niche, our passion and our career (however that happened) it’s crucial that we help young people find their purpose, in the short or longer term, in order that they can work in a fulfilling and more contented way. How, as employees, managers or leaders can we make sure we are inspiring young people and allowing them to experience futures? Encourage young people to take up part-time working. Support local schools and provide work experience. Offer to discuss your role, company, business, industry in an assembly or careers day. Get involved with local initiatives to support school visits to different workplaces. Offer to fund enterprise days to encourage the skills needed by employees in the future. In the light of the continuing turmoil in the UK, we owe it to the next generation to support their career journeys, helping them to navigate the choppy waters ahead whilst helping them to decide what is best for their future. Now you’re part way up the ladder, please make sure you send it back down.